Door breaching-featured games have made a comeback, with the upcoming Rainbow 6 but also the great 2014 indie title Door Kickers. 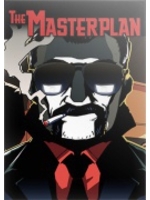 As the latter, The Masterplan is a top-down tactical game but here we play the bad guys in the '70s, giving an emphasis on theft and stealth. It moved from early access to full release yesterday, launch trailer and screens inside.